Made in the USA! Choose from hard tempered steel. 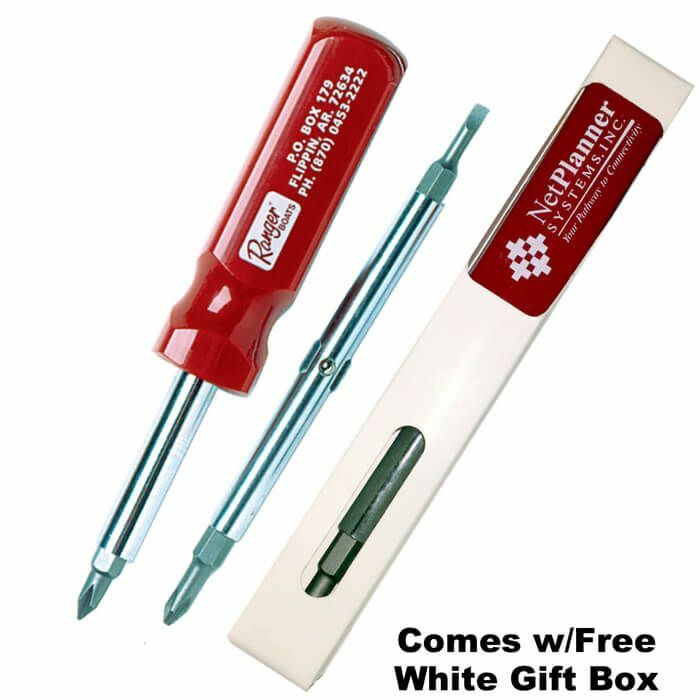 Reversible 4-in-1 Screwdrivers with 4 bits - 3/16" Flat, 1/4" Flat, #1, & #2. Red barrels only. Comes with a free white gift box. Product Size Approx. 7 1/8" X 1"
Imprint Area 2.5" X 0.625"